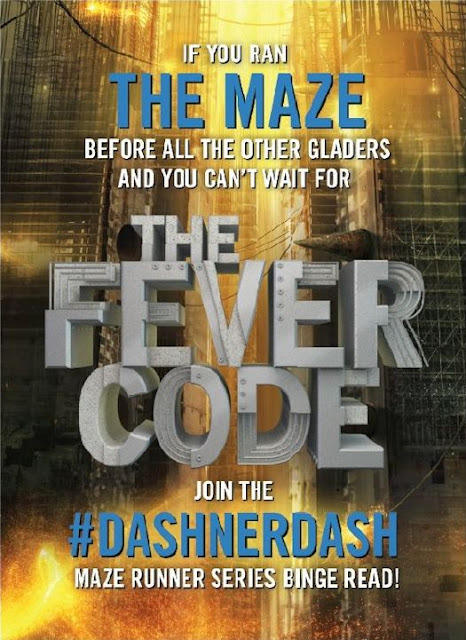 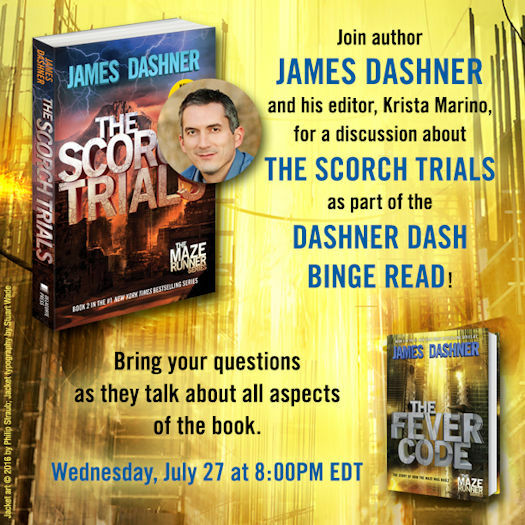 The #DashnerDash Binge Read Google Hangout to discuss The Scorch Trials is happening THIS WEDNESDAY, July 27th, at 8pm EDT. 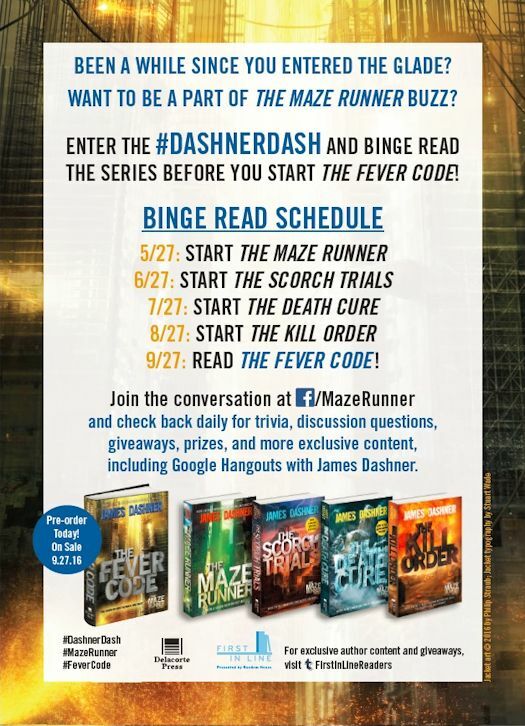 You may join the Google Hangout here. 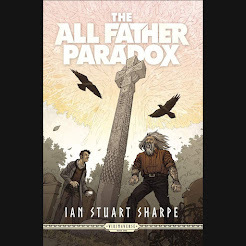 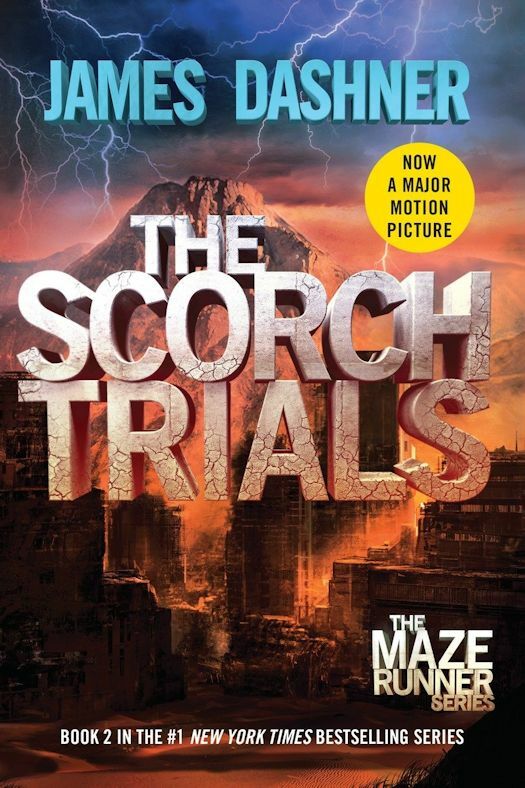 Read the second book in the #1 New York Times bestselling Maze Runner series that is now a major motion picture and is perfect for fans of The Hunger Games and Divergent. The first book, The Maze Runner, is also a movie featuring the star of MTV’s Teen Wolf, Dylan O’Brien; Kaya Scodelario; Aml Ameen; Will Poulter; and Thomas Brodie-Sangster! 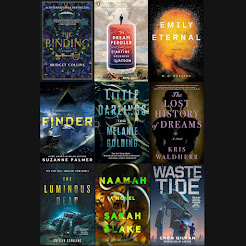 Also look for James Dashner’s newest novels, The Eye of Minds and The Rule of Thoughts, the first two books in the Mortality Doctrine series.